Once the seat of the Maharajas of Rajasthan, Jaipur is a city purpose-built to display royal grandeur. Situated on the edge of the Thar Desert, Jaipur is much more than a fantastic example of Indian Vastu shastra architecture. The city’s wide streets and interconnecting boulevards play host to a blend of desert heritage, colourful tradition and fiery cuisine. Jaipur’s moniker as India’s Pink City isn’t a metaphor for a desert sunset (though that’s worth checking out on its own). In 1876, to celebrate a visit by the then Prince of Wales, many of the city’s old buildings were painted a pinkish terracotta – the colour of warmth and welcome. The net effect is astonishing and makes Jaipur one of the most photo-friendly tourist destinations in all India. Generations of Rajasthani Maharajas and their families called Jaipur home, and in the finest tradition of royalty, many decided to construct their take on palatial grandeur. More recently many of the city’s palaces have seen new life as public buildings and boutique heritage hotels, including Karma’s very own Jaipur retreat, Karma Haveli. 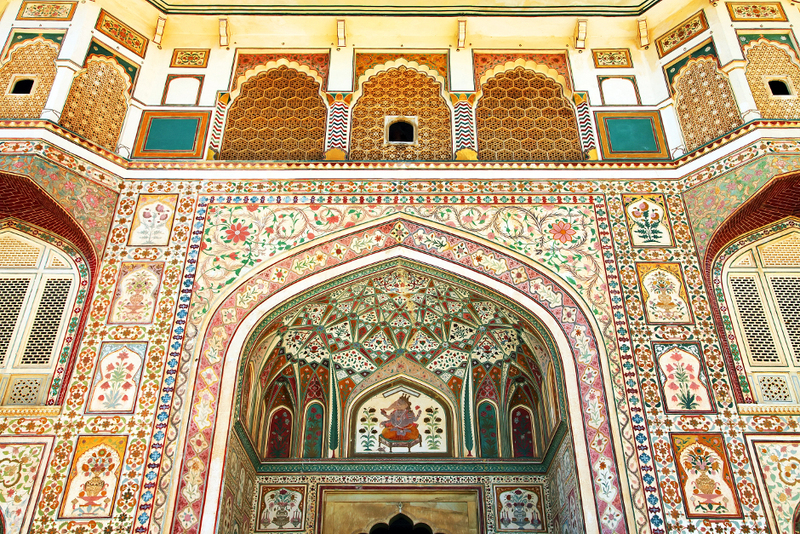 Must-see buildings include the City Palace and the Amber Fort. 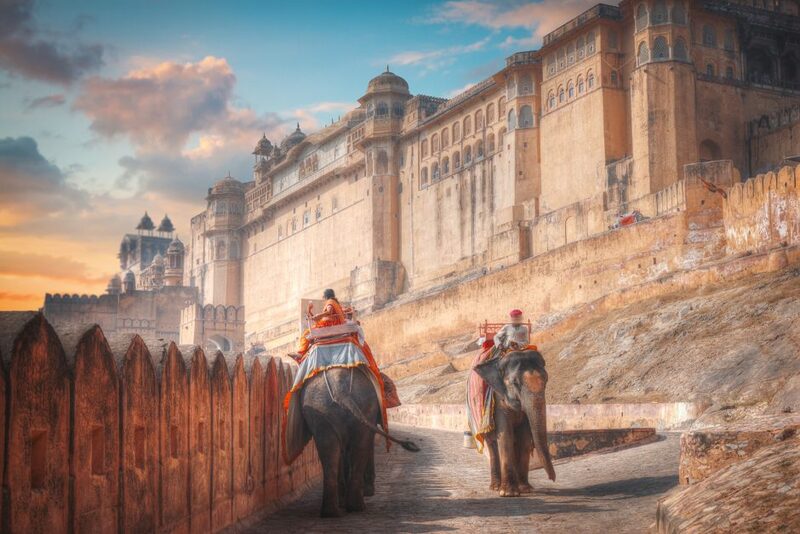 Situated eleven kilometres from Jaipur, the Amber Fort is the original grand building of the region, a sprawling edifice of red sandstone and marble, while the City Palace in the heart of Jaipur was once the main seat of the Maharajas themselves. 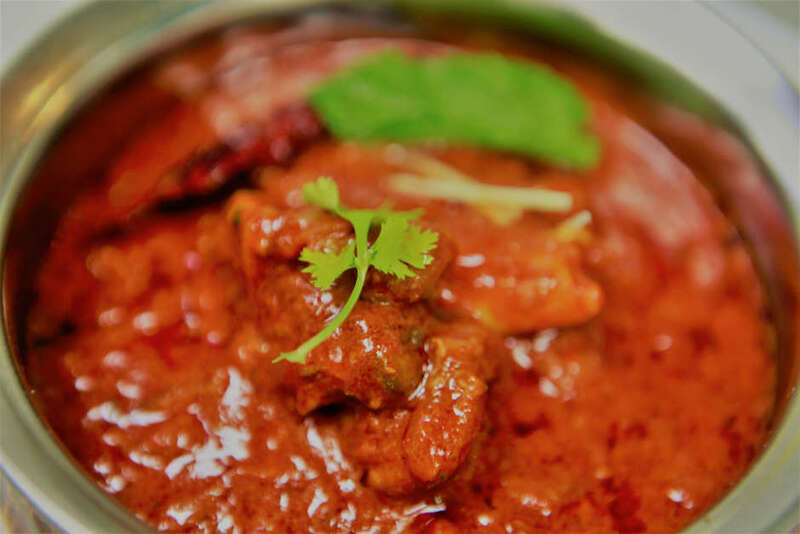 Rajasthani cuisine was shaped by the hard people – and the harsh environment – of Rajasthan. Favourite dishes include Laas Maal – which translates as ‘Red Meat’ and gets its name from the almost too liberal use of fiery red chillies – and Dal Bati, a simple soup of mixed lentils served with piping hot whole wheat bread rolls. The people of Jaipur love a good festival, and religious and cultural events are a central part of family life. 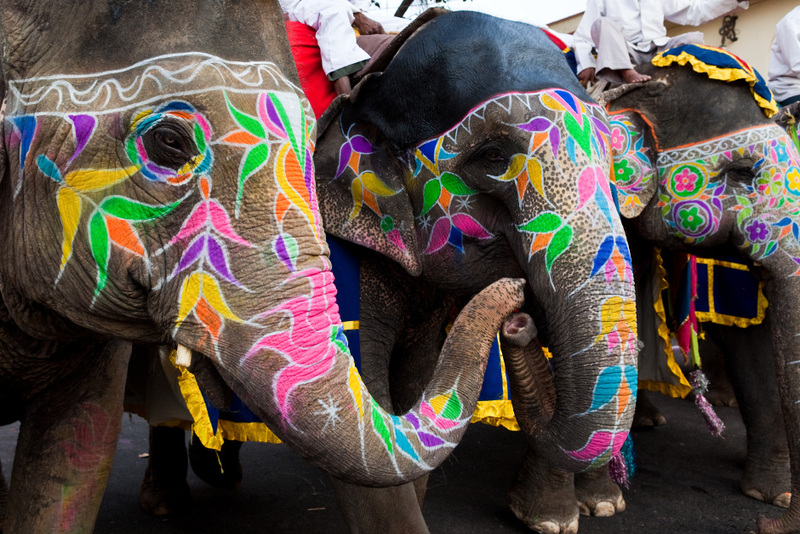 By far the most famous festival is the yearly Elephant Festival, held on the day of Holi. The event features elephant polo and dancing, while owners dress up their elephants in a vibrant, kaleidoscopic array of different colours and patterns. In more recent times, the government has ensured the large, friendly elephants are treated with utmost respect.